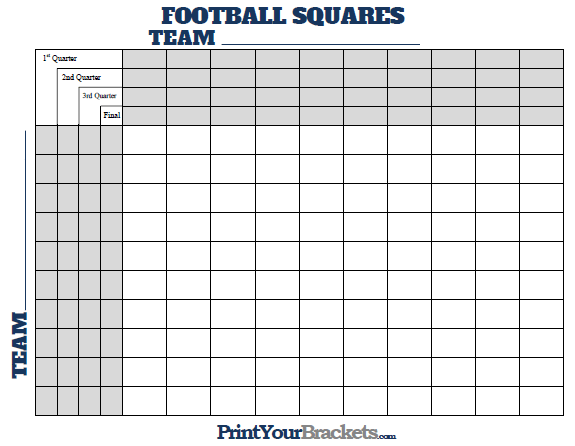 Below you will find two options for our Printable Football Squares with Quarter Lines. The first option is to Customize Your Grid, which will allow you to edit the title/header of the grid, type in the two team names and also gives you the options of directly typing in the rules and prizes of the pool before printing. The second option is to Print, which will load a printable .pdf file that appears as you see it below. This is the square grid office pool that is very popular during the Super Bowl. 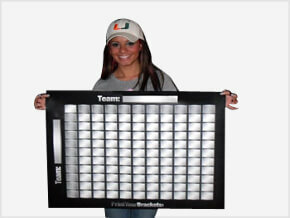 The grid above is just a generic grid that can be used for any football game of the season. 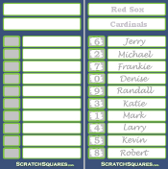 A quarter line Super Bowl Square office pool is only slightly different than your typical Football Squares, in that you will draw different numbers for each quarter, meaning that a persons particular square will likely have different numbers for each quarter. 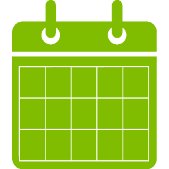 Take the grid around to family, friends, and co-workers, having each participant place their name in the square or squares of their choice. The particpants are to write their names in the sqaures before the numbers are drawn. Some people draw the numbers first, this is the incorrect way of doing this as it provides an extreme advantage to the people that get to choose their squares first. 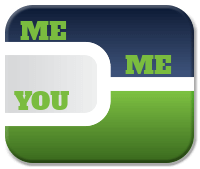 You can see if you look at our "Best Super Bowl Squares" article that there are obvious advantages to having certain numbers.